Contempt of Congress 1: The power of Congress to punish for contempt is inextricably related to the power of Congress to investigate. Generally speaking, Congress’ authority to investigate and obtain information, including but not limited to confidential information, is extremely broad. While there is no express provision of the Constitution or specific statute authorizing the conduct of congressional oversight or investigations, the Supreme Court has firmly established that such power is essential to the legislative function as to be implied from the general vesting of legislative powers in Congress. The broad legislative authority to seek and enforce informational demands was unequivocally established in two Supreme Court rulings arising out of the 1920’s Teapot Dome scandal: McGrain v. Daugherty, 273 U.S. 135 (1927), and Sinclair v. United States, 279 U.S. 263 (1929). Subsequent Supreme Court rulings have consistently reiterated and reinforced the breadth of Congress’ investigative authority. Tools available to Congress during investigations include subpoenas, contempt power, grants of immunity, and staff interviews and depositions. House and Senate rules authorize standing committees and subcommittees to compel individuals to appear and testify in hearings or to require the provision of documents to Congress. Either chamber could also by resolution delegate that power, or additional powers, to special or select committees. If an individual fails to provide testimony or documents as required, provisions in statute allow the full House or Senate to cite a witness for criminal contempt and refer the matter to the U.S. attorney; the Senate also has recourse to a civil contempt proceeding against witnesses other than executive-branch officials. In the past, the threat of a congressional subpoena or contempt citation has often led to negotiated or full compliance on the part of the targeted individual or office. Litigation is used at times, but federal judges generally encourage congressional and executive parties to settle their differences out of court. Contempt of Congress is punishable by statute and under the inherent powers of Congress. Congress has not exercised its inherent contempt power for some time. The statutory contempt of Congress provision, 2 U.S.C. § 192, has been employed only slightly more often and rarely in recent years. Much of what we know of the offense comes from Cold War period court decisions. Congress’ contempt power is the means by which Congress responds to certain acts that in its view obstruct the legislative process. Contempt may be used to coerce compliance (inherent contempt), punish the contemnor (criminal contempt), and to remove the obstruction (civil contempt). Although arguably any action that directly obstructs the effort of Congress to exercise its constitutional powers may constitute a contempt, in the last seventy years the contempt power (primarily through the criminal contempt process) has generally been employed only in instances of refusals of witnesses to appear before committees, to respond to questions, or to produce documents. For more, see 2 U.S.C. Chapter 6: Congressional and Committee Procedure; Investigations – LII. Enforcement through one of the forms of contempt proceedings available to the House and Senate is undertaken only after committee and chamber approval. 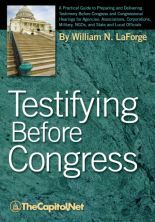 If a witness invokes a Fifth Amendment privilege against testifying, a committee might still compel testimony with a two-thirds vote of the committee in favor of seeking a court order to grant immunity and direct the witness to testify. The immunity granted protects the witness from use of the testimony in a criminal prosecution. A grant of immunity might then jeopardize criminal prosecution, the prosecutor bearing the burden of showing that the case is not based on or derived from the immunized testimony. The House can also adopt a simple resolution–a resolution of inquiry–requesting information or documents from the president or directing a department or agency head to supply such information. Such a resolution is used to obtain factual information, not to request opinions or investigations. Congressional committees often use staff interviews to collect information as part of an investigation. This staff work provides tighter focus to the questioning and witness list for investigative hearings. On some occasions, House and Senate resolutions have provided specific authority to a committee for staff members to take sworn depositions. Special committee procedures have usually been established under these circumstances. Among other things, depositions, which are conducted in private, might lead to more efficient use of hearing time, facilitate more candid responses from witnesses than they would provide in a hearing, and allow further investigation of witness allegations prior to the airing of those allegations at a public hearing. Under certain circumstances, a committee might seek a court order to grant partial or full immunity to a witness as a means of obtaining testimony. House rules give the Oversight and Government Reform Committee wide latitude in conducting oversight. Senate rules do the same for the Homeland Security and Governmental Affairs Committee. Each committee may conduct oversight government-wide and on intergovernmental programs and activities, and each is given a special responsibility to study GAO reports and recommend action to Congress based on those reports. In addition to general provisions encouraging oversight, House and Senate rules give specific committees “special” or “comprehensive” authority to conduct oversight in certain policy areas, although a particular policy area might fall within the legislative jurisdiction of several committees. From time to time, Congress has also established temporary commissions to investigate particular events or issues. Such commissions have varied in their mandates, authorities, and profiles. The 9/11 Commission, for example, was established by law (P.L. 107-306; 116 Stat. 2408), and was populated by experienced and knowledgeable individuals who demonstrated a determination to reach consensus and see the commission’s recommendations implemented. The commission had the power to hold hearings and collect evidence, and was granted subpoena power. Contempt of Congress 2 (Contempt for Congress): Many people have contempt for Congress, most commonly expressed in opeds, political cartoons and opinion polls regarding congressional job approval. For example, Real Clear Politics has a roundup of different polls, and for the week of May 5, 2012, the average approval was 13.8% and the disapproval was 78.5%. Polling Report also has a page showing Congress’ job rating over time. 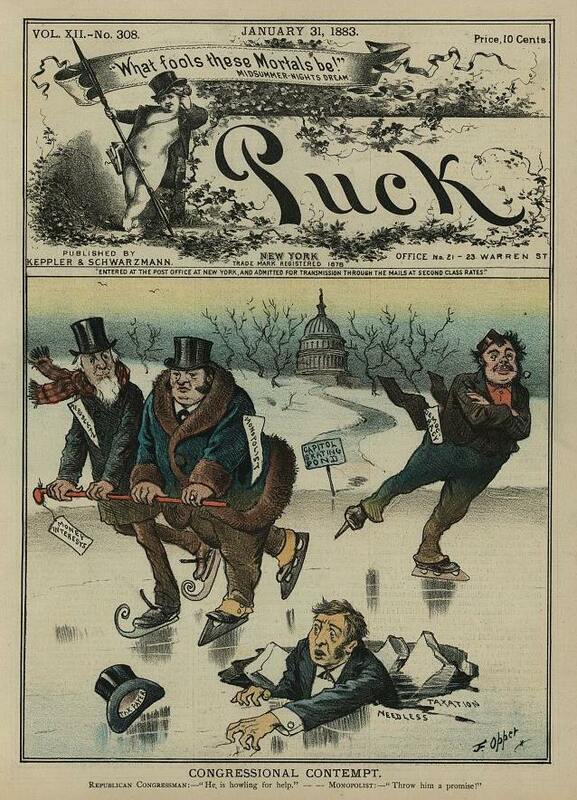 Contempt of Congress 3: Many also feel that the “Contempt of Congress” is Congress’ contempt for citizens, similar to that expressed in the Puck cartoon below. Also see Executive Privilege; Immunity; Oversight / Oversight Committee; Privilege; § 8.70 Congress and the Executive: Oversight and Investigation, § 8.75 Committee Investigations and Witness Protections, § 8.76 Example of Subpoena to Executive Branch Official, § 8.77 Seeking to Compel Testimony, in Congressional Deskbook; Chapter 8. F. Investigations, in Congressional Procedure.